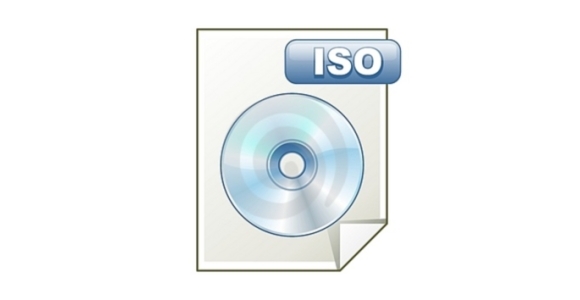 One of the most common file types used in the distribution of software over the Internet is the .ISO format; these single files contain within them an exact copy of an entire CD or DVD disc. They are ideal because rather than having dozens, hundreds or even of thousands of files to transport you only have one. There are of course other methods of achieving the same goal; some of you may be familiar with .zip or .rar files which have the added advantage of being able to not only take many files and store them temporarily as one but also compress the data, making the total file size smaller. Unfortunately, when using this method on a media disc you strip out important characteristics of the original such as boot code, disc structures and file attributes which can often prevent an application from running. As a result of this exact copy process, the format has become a popular method of transporting pirated software – the ISO file is an exact match of the original and as such there is no reason the software would realise it had been copied and refuse to run. There are plenty of legal uses for the format, however, and it is highly likely that even the most legitimate users will come in to contact with an ISO file at some stage sooner or later. Unfortunately they are not the most user friendly file format; you can’t simply complete the download then double click to run the application as they first have to be returned to their original format. There are typically two methods that can be used to complete this process; burn the data back to a physical disc or create a virtual drive on your computer. The first method relies on a piece of disc burning software such as the fantastic and free CDburnerXP (www. cdburnerxp.se). Simply click ‘burn an image to disc’, point the application in the direction of your ISO file, insert a blank CD or DVD and your computer will then spit out an exact copy of the original media as if it had come direct from the manufacturer. The second method uses a piece of software such as the free Alcohol 52% (www.alcohol-soft.com) to create a virtual drive that can simulate an actual CD or DVD disc. By asking Alcohol 52% to ‘mount’ an ISO file downloaded from the Internet, Windows will be tricked in to thinking there is a physical drive connected to your computer containing the original disc. You simply access it through Windows Explorer as you would any other regular drive connected to your computer. This latter method prevents us from having to waste a blank CD or DVD which is especially handy in instances where it would have only been used to install the application before being discarded. We can also keep the original ISO file and mount it whenever it’s required rather than having to store and locate a physical disc when the data is required again in the future. There are additional benefits, especially when it comes to speed. Not only does it take seconds to mount an ISO file, rather than the minutes it would take to burn it, but in addition the speed of reading the data is exponentially faster. A virtual CD for example will read at 200x speed whereas the fastest CD drives on the market are limited to 52x speed. Some users may also appreciate the ability to create multiple virtual drives that can function simultaneously; this is useful if you have more than one disc that you need frequent access to without the need for multiple readers. You can create copies of your own discs and load them up on to multiple virtual drives in this fashion and as long as you own the original it is perfectly legal.